It is a rich source of necessary nutrients and minerals. It is one of those miracle concoctions that is good for various purposes. It helps treat and prevent diseases and helps improve our vision, skin, hair, nail etc. 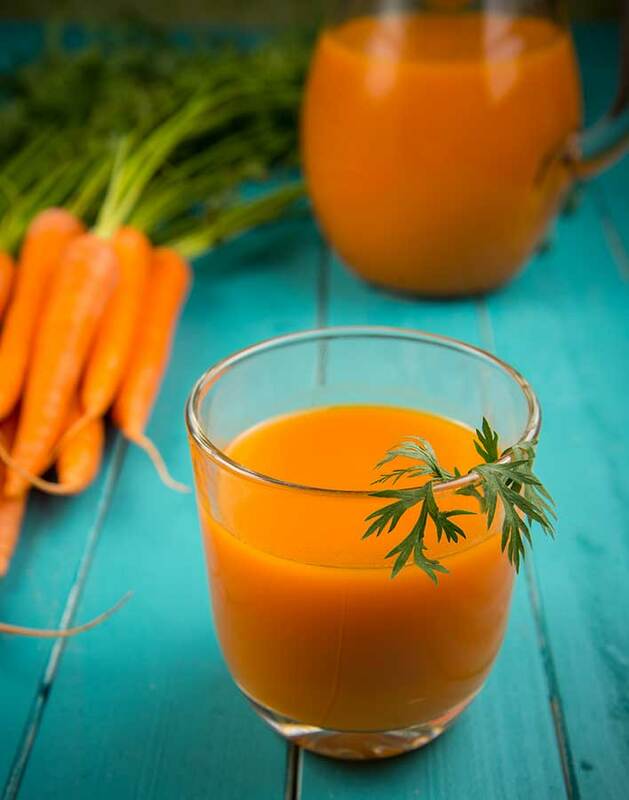 Drinking carrot juice daily is a habit that everyone should start, as it is both healthy and tasty as well. Carrots are one of the richest sources of Vitamin A available for use in your daily diet, minus the saturated fats which this vitamin is usually associated with in eggs and butter. They’re also high in other Vitamins, especially those of the B complex. They’re packed with minerals including calcium, copper, magnesium, potassium, sodium, phosphorus, chlorine, sulfur, and iron. Carrot juice blends with practically any other juice, so it can easily be drunk at any time. It’s thought to reduce the risk of cancer, including skin and breast cancer. Studies have found Vitamin A to have antioxidant properties, and have linked it with cancer prevention, as it eliminates cancer-causing free radicals in the body. Vitamin A is known to promote strong bones and teeth. Vitamin A aids immune function and resistance to infections. Vitamin A is especially necessary in the diet of pregnant mothers as it is effective in building up and maintaining the health of mother and child. Carrot juice should be included during pregnancy and during the stage of nursing the baby as it promotes healthy milk in lactating mothers. Another of the benefits of carrot juice is its cleansing effect on the liver. It is thought to be extremely beneficial for liver juicing, as it reduces bile and fat present. However, to make the most of this benefit, it is said that you need to drink carrot juice consistently, as the liver stores the Vitamin A. Carrot juice is also good for reproductive health due to the Vitamin E it contains. Making the most of the benefits of carrot juice is remarkably easy – start juicing carrots! There’s really not much else to it. If you’ve been juicing for a while already, chances are you’ve already been using carrots. Prepare your carrots for juicing by washing thoroughly in cold water with a stiff brush. It’s best not to peel your carrots though, as many valuable vitamins and minerals lie close to the surface. One of the benefits of carrot juice is that they go with everything, so it’s a great opportunity for you to experiment. You can juice them on their own, or mix them with other fruits and vegetables, such as apples, celery, spinach or even avocado (in a blender though).